Funko Sale at WB Shop! Are you looking for DC Comics, Looney Tunes, Lord of the Rings, Harry Potter, Supernatural or any other Warner Brothers Funko Pop! Vinyl figures? Click here for the Funko Sale at WB Shop! 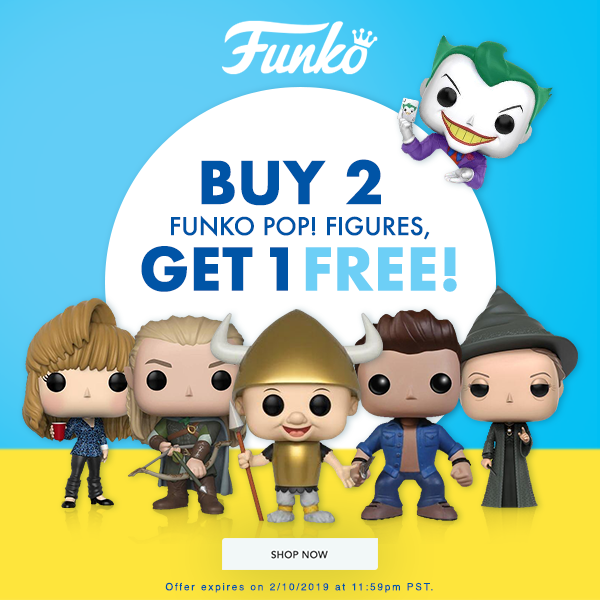 Buy two, get one free Funko Pop! Sale for a limited time at Warner Brothers WB Shop! This Sale ends February 10, 2019! Tagged Collector Alert, DC Comics, Funko, Sale, Warner Brothers. « Retro 90’s Captain Marvel Website!